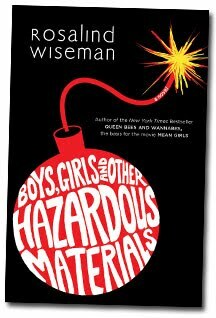 Feb. 8, 2010 I bought a copy of the new YA novel by renowned author Rosalind Wiseman of Queen Bees & Wannabes bestseller fame, called “Boys, Girls & Other Hazardous Materials” …As soon as it hit my home front, my daughter and her ‘BFF’ clamored to snag it from me, lured in by the cover visual alone. She’s not one to read anything that she hasn’t handpicked herself, so I stayed silent and watched as she cautiously inspected it, flipping the book jacket over repeatedly, thumbing through the pages and reading the inside flaps… “Looks kinda good” she finally pronounced. Whoa. Was I hearing this right? 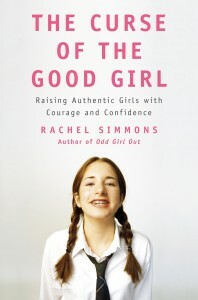 (She did this when we attended the recent Rachel Simmons’ event too…Not to mention when she saw the copy of the book ‘Curse of the Good Girl’ that I bought, and my interview with Rachel Simmons. She always give me the 20 questions…I never know what triggers the dismissive ‘fellow do-gooder’ brush-off, but thankfully, this wasn’t it. After all, we tweet, we correspond, we share stuff on Facebook, clearly this is a 21st century dilemma! Her BFF, Suzy who is also a high school freshman, and my ‘surrogate second daughter’ had been listening the whole time and quickly piped up, “Well, I’m in.” Yes, that’ll cinch it. No further questions asked. No more third degree. Book. Tour. We’re in. Gotta love that peer to peer dynamic. Meanwhile, here’s my two-part chat with Rosalind Wiseman about how she collaborated with youth to craft an authentic voice. Much like branding professionals, she took a deep dive approach to getting inside the world of teens, by (what else?) engaging directly, bringing youth into the process and onto the team. 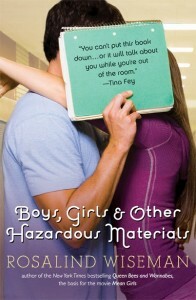 Amy Jussel, Shaping Youth: Boys, Girls, and Other Hazardous Materials is your first YA fiction ever. How will this book tour DIFFER from your prior tours or your updated Queen Bees & Wannabees book title? Are you adding digital components? Web 2.0 author chats? Leveraging the ‘Mean Girls’ acclaim into the talk show circuit? Rosalind Wiseman: The Girl World Tour is very different from other book tours I’ve done because I’ve never done a mother-daughter tour. I’ve certainly spoken with moms and girls in the same room many times over the years, but now I’ll be weaving content from Queen Bees & Wannabes and Boys, Girls, & Other Hazardous Materials into the presentations, since the tour is promoting both books. As for digital media—this is being woven into everything I do these days. It’s hard to imagine that only 4 years ago when I was launching Queen Bee Moms & Kingpin Dads, the words “author chat” or “tweet” or “blogger outreach” weren’t considered as part of our publicity plans at all. Amy Jussel, Shaping Youth: Queen Bees struck a universal cord, obviously becoming the framework for the Mean Girls movie which is now more of a verb & adjective than a noun in girl culture, so many of us are eager to read your first YA FICTION work since you have such a solid foundation and understanding of the youth sphere. When did you decide to make the foray into fiction, and why? Rosalind Wiseman: I was approached by Walden Media because at the time they had a relationship with Penguin Young Readers and were interested in seeing if I could write a story with a high school freshman protagonist. I’d never considered writing fiction before, but I decided to do it because I knew it would be a big challenge. I tell my students to take risks and be uncomfortable all the time, but when I was asked to write this novel I realized it was an opportunity for me to practice what I preach. I have been terrified of failing throughout the whole process, but I pushed through and did it anyway. Amy Jussel, Shaping Youth: I love that you brought teens themselves into the editing process. How did you find these “kid lit” enthusiasts, what age were they and how did you select who would be your core critics? Rosalind Wiseman: Like the other books I’ve written, after presentations I would tell the students I worked with that if they were interested in helping me edit the book to contact me, and many of them did. And when they reached out I would send them a few chapters and just ask them if they thought it was realistic. I also have a friend who runs a creative writing class for high school seniors, and for a semester I would go in and meet with them and we would edit a chapter every week. I would make them tell me one thing they thought was good, one thing they thought was bad, and one thing we needed to discuss. As far as knowing WHO to listen to– it’s a little hard to define but I guess a kid just says something that rings true to me. It has to do with the quality of their comments and their emotional reaction, both good and bad. And while I think many people assume that this book is for girls, I wanted to pay attention to what boys were saying and there were always boys involved in my editing process. Amy Jussel, Shaping Youth: Give us a few examples of what kids edited and refined to make your work better? Rosalind Wiseman: In the opening scene where Charlie’s dad is listening to music in the car and she is embarrassed–we talked for almost an entire class about what the song would be on in the car. But on a larger scale, we discussed what types of hazing happen in high schools, how people hang out at parties—I wanted them to tell me what that looks like. Towards the end of the book when the biggest conflict arises they were really reactive about how Charlie (the lead/female protagonist) would have to speak out and how in the original drafts they thought she was being too mothering to Will. I had a whole room full of boys pretty annoyed about that. Amy Jussel, Shaping Youth: What did you learn most from the youth team advising you, and what did they learn most from you? Also, how can we utilize the voices of youth in mentoring mode to create better literary products for us all? Rosalind Wiseman: I think it reinforced for me that the discussions we have with kids where they can tell us about what their world looks like and feel heard is so valuable—for them and for the adults in their lives. While a lot of conversations started with the minutiae of what the appropriate songs and brands were, it would lead us to the topics underneath like hazing and dealing with difficult friendships and speaking out in conflict. A real moment for me is when we ended up having a really authentic discussion about parents allowing drinking in the house and how teens feel about that. For me, it’s in the discussion that you get better literature. If Hollywood makes this book into a movie (like they did w/Mean Girls) who would you cast as the book’s characters? Amy Jussel, Shaping Youth: Where is RosalindWiseman.com going? More fiction, non-fiction, youth advice, advocacy? What are your goals and dreams in painting your own career canvas? Rosalind Wiseman: This is also a very big question! In general, to continue to doing substantive work, to reflect children’s experiences back to others and their parents, to be a conduit between these groups of people, and to give advice where appropriate. When we re-launched the website last year, it became this living, breathing thing that is always changing. We’re excited to continue to explore what we can do in that medium—the potential has yet to be fully realized. Amy Jussel, Shaping Youth: What do you make of the whole Twilight phenom & the success with teen girls? Similarly, the Harry Potter series engaged both genders, but ‘boys more’ how will your book appeal to different genders in different ways? Rosalind Wiseman: With Twilight I think that girls are longing for what girls always long for in every generation: to be understood and seen as special and unique and passionately loved for it. To be seen and to be treasured—I think girls always want that. The Twilight series really taps into that desire for better and for worse. And with Boys, Girls & Other Hazardous Materials I really fought hard for this to be a book that was relevant and interesting for both genders, and I think that content-wise, it still is even though there is a female protagonist. I wanted to challenge the idea that “boys don’t read” and how baffling it is to me that adults just accept this to be true for the most part. No one these days would stand for people saying “girls aren’t good at math,” and in fact we have whole initiatives and organizations to make sure this isn’t a cultural norm, yet with boys we seem complacent! The original cover that we had for the book was a lot more gender neutral and interesting to me, but ultimately we had to go another direction because the sales department was concerned that it wouldn’t be a draw for their biggest group of readers in the age group, who are girls. If it were up to me, we’d have kept the original that was on the galley. But in the same way that Queen Bees was written for parents but girls still write me all the time to say that they loved it, I am hoping that boys will read it and think about it. My ideal would be for it to be used in a classroom setting so that both genders could discuss the issues in the book. Amy Jussel, Shaping Youth: What’s on your ‘to do’ bucket list of life, and who’s on your ‘must meet’ list of “sheroes”? Rosalind Wiseman: I want to travel extensively with my family, especially Asia and Africa. I would also like to learn to do the trapeze. As far as “she-roes”–Mary J. Blige—that’s an easy one. But personally, I’d rather meet people that are heroes but not lauded for it. I am much more interested in people who are heroic in small ways of their every day lives. Amy Jussel, Shaping Youth: How has the conversation changed since your Queen Bees & Wannabes initial release and what role has media played in terms of youth developmental ages and stages? Rosalind Wiseman: I think you said it already—it has become an adjective. It’s become commodified and therefore isn’t taken as seriously, even though we’re hearing about it more. It just becomes this thing that you make assumptions about and don’t think mindfully and deeply about. On the other hand, there are those who take things much more seriously now that they know, but I am very aware that because of my work that one of the bad things is that it’s become a commodity which has a lot to do with how media talks about girls and their conflicts. Rosalind Wiseman: I chose to write a story that was typical and average. I did that because I have always thought that what is underneath the commonplace is interesting. I wanted to, within that kind of story, share the secrets that people have told me throughout the years. It brings to light the things that people have to deal with but that people rarely stop to say, “Wow, that is really messed up.” I believe, and hope that others will feel, that these things are worthy of discussion. I will probably do more novels because I find it easier to speak the truth in fiction rather than non-fiction. Rosalind Wiseman: That’s hard. Because it’s a combination of rapidly absorbing adult ideas and themes but also recognizing that a ninth grader is still a kid. How do you be authentic and acknowledge this? It’s something I struggled with all the time as I was writing…it’s about striking a balance—the extent of the physical contact for the characters in this book is one kiss, and you don’t see anyone doing drugs or swearing all the time. There are definitely some turns of phrase that make people uncomfortable at times and I tried to use those strategically…You DO see teenagers drinking alcohol and making some really bad decisions because of that. I think it’s realistic and presents opportunities for conflict without going to extremes. I don’t think you should have to put your characters into the most outrageous, intense situations in order for the decisions they make and the challenges they face to be powerful and worthy of discussion. It’s refreshing to dial down the drama of media messaging (particularly on TV) which is being proved as anything BUT real. Here’s more of Rosalind Wiseman via her 3:22 video discussing the whys and hows of the plotline, Rosalind’s Amazon page to continue the conversation beyond this blog or her own site: RosalindWiseman.com. 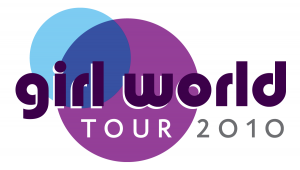 Here’s the growing list of spring locations for the Girl World Tour of 10+ cities along with her conversational Facebook group, and where you can chat with Rosalind on Twitter. With all that social media you’ll feel as if you’ve ‘met her’ too! “Moms* & daughters (ages 8-14) are invited to join Rosalind Wiseman, an internationally-recognized author, mom and expert on teens & parenting for a fun-filled evening of mother-daughter bonding. In addition to celebrating Rosalind’s latest books, the tour will feature an interactive discussion about confidence, friendships, sweat-inducing moments and common mother-daughter challenges. Please check back often as new cities are added and additional information becomes available! Contact Emily Bartek with any questions at 202-545-0633; sponsored by Family Circle & Dove Go Fresh. Tickets: Contact Big Hat Books at 317-202-0203, or purchase in store at 6510 Cornell Avenue. Tickets: Call 630-355-2665 or visit Anderson’s in Naperville. Tickets: Tickets are available for purchase via the Next Chapter Bookstore website. See link below. Tickets: Purchase online (link below) or contact Brazos Bookstore at 713-523-0701 for more information. Tickets: Contact Vroman’s at 626-449-5320, visit the store, or purchase online at the link below! Tickets: Contact Kim Chapman of Beech Acres at 513-233-4734. Tickets: Contact RPW, Inc. at 202-545-0633.